The American Association for the Advancement of Science has bestowed upon 416 of its members the lifetime honor of being an elected Fellow in recognition of their extraordinary achievements in advancing science. 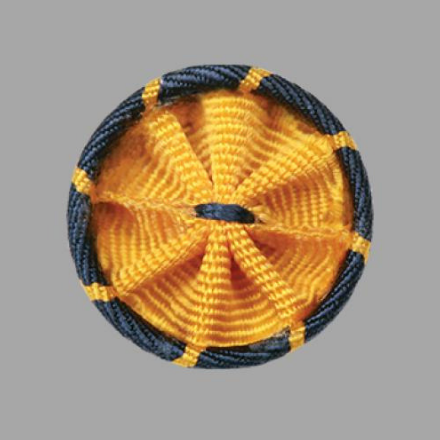 The Fellows, announced Nov. 27, will be recognized at the 2019 AAAS Annual Meeting in Washington, D.C. During a Fellows Forum on Feb. 16, they will be presented with an official certificate and the AAAS Fellows’ gold and blue rosette pin, the colors of which represent the fields of science and engineering respectively. This year’s Fellows, who represent a broad swath of scientific disciplines, were selected for diverse accomplishments that include pioneering research, leadership within their field, teaching and mentoring, fostering collaborations and advancing public understanding of science. AAAS’ annual tradition of recognizing leading scientists as Fellows dates to 1874. Since then, AAAS has honored distinguished scientists such as astronomer Maria Mitchell, elected a Fellow in 1875; inventor Thomas Edison (1878); chemist Linus Pauling (1939); and computer scientist Grace Hopper (1963). Four of the 2018 Nobel Prize laureates – James Allison, Arthur Ashkin, Frances Arnold and George Smith – are AAAS elected Fellows. Fellows may be nominated in several ways. A nomination can be put forth by three previously elected Fellows who are current AAAS members. Of the nominators two must have no affiliation with the nominee’s institution. The nominators are required to submit a packet that includes a letter of recommendation from each, the nominee’s curriculum vitæ and a list of the nominee’s most significant publications. Nominees also may be nominated by AAAS’ chief executive officer or by the steering group of one of AAAS’ 24 sections. All nominees must have been a member of AAAS for four years by the end of the calendar year of their election. Nominations go through a two-step review process, with the relevant steering group reviewing nominations in their section and the AAAS Council – the organization’s member-elected governing body – voting on the final list. The full list of 2018 Fellows will also be published in the Nov. 29 issue of Science. Robert E. Continetti, University of California, San Diego. John H. Griffin, Numerate, Inc.
Norbert W. Bischofberger, Gilead Sciences, Inc.